This paper shows how effectiveness of side-channel and fault attacks can be improved for devices running from internal clock sources. Due to frequency instability of internally clocked chips, attacking them was always a great challenge. A significant improvement was achieved by using a frequency injection locking technique via the power supply line of a chip. As a result, the analysis of a semiconductor chip can be accomplished with less effort and in shorter time. Successful synchronization was demonstrated on a secure microcontroller and a secure FPGA. 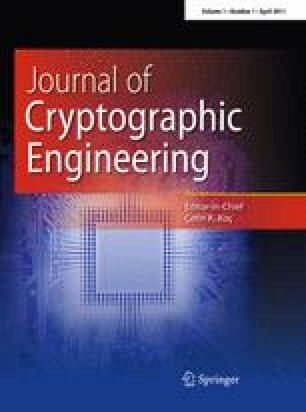 This paper presents research into limits for synchronization and discusses possible countermeasures against frequency injection attacks.